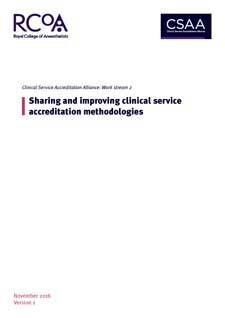 Part two of six clinical service accreditation resources produced by members of the former Clinical Service Accreditation Alliance (CSAA). This report is concerned with seeking continuous improvement in the quality of accreditation schemes by drawing together methodologies and key learning from new and emerging accreditation schemes, as well as peer review schemes. While much expertise and knowledge exists around clinical service accreditation, little of this is readily accessible for new schemes.